Is iontach na féidreachtaí a bhaineann lais an achar seo agus tá an t-ádh linn gur roghnaíodh sinn chun a bheith mar chuid de chlár códála an N.C.C.A. 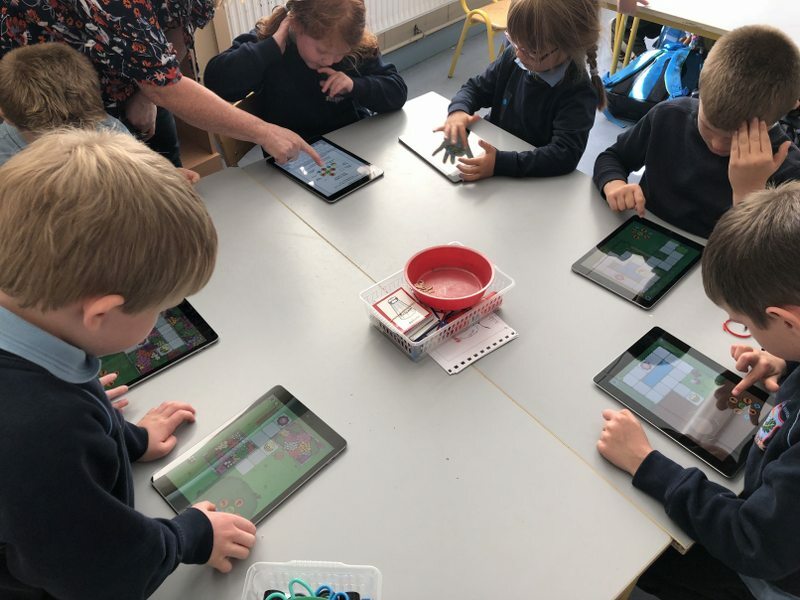 Having been chosen to participate in the NCCA’s programme to develop Coding & Computational Thinking in primary school pupils, we have been busy putting a plan together to support our work in this area. The potential for development in this area is huge and we are very excited and look forward to embracing it and incorporating it into our curriculum. 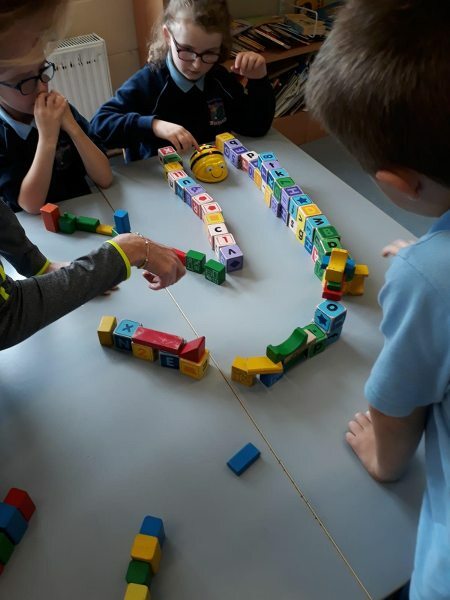 Our infant and junior classes have already begun debugging Beebots and creating simple programming codes.